Thanks for taking some time out of your day to stop by the Pugmire Ford website. Whether you are in the market for a durable Super Duty F-Series truck, a flexible and convenient Transit Connect, or one of our other outstanding new Ford cars, trucks, or sport utility vehicles (SUVs), it just makes sense to stop by the friendliest and most accommodating dealership in town — Pugmire Ford. Going a step beyond exemplary service, it is safe to say that we also know a thing or two about enjoying all that Carrollton has to offer. From an evening perusing through the galleries and restaurants of downtown Carrollton to biking the Carrollton Greenbelt on a warm summer afternoon, our staff of lifelong Carrollton community members have a truly special bond with one of the most historic and inviting cities in Georgia. In other words, buying a new Ford automobile from Pugmire Ford means doing business with not just an expertly trained staff of Ford professionals, but also people who truly care about the local community and doing right by their friends, family, and neighbors in Carrollton. Now that you understand buying your next car at Pugmire Ford is all about enjoying the perfect blend of quality, affordability, and a hefty dose of hospitality from other members of the Carrollton community, we have only one question left to ask: Why would you ever want to shop anywhere else for the Ford that suits your unique needs? Setting a new precedent for the rest of the automotive world to follow is simply part of the Ford lineage and history. From America's favorite pickup for nearly 40 years running, the F-150, to the environmentally conscious hybrid Fusion, there is no shortage of great cars on the Pugmire Ford showroom floor that can slot seamlessly into your daily routine today. To prove this point, all you need to do is take a quick peek at some of the hottest cars to roll off of Pugmire Ford's property and onto the streets of Carrollton. Breaking down barriers is all part of a day's work for the rough, rugged, and ready Ford F-150. Of course, when you pair up tech-friendly features such as the SYNC 3 smart car system with superior performance-driven inclusions, like the F-150's military-grade aluminum body and Blind Spot Information System (BLIS), going beyond the limitations of other manufacturers and serving as America's favorite truck is simply part of the process. Being the leading name in the SUV category requires being attuned to the needs of drivers of all types from all over Carrollton. Fortunately, with an emphasis on performance, comfort, and durability, as well as class-leading features like the Ford Terrain Management System and second row bucket seats for your passengers, the Ford Explorer is more than capable of meeting (and exceeding) these myriad expectations. Despite the common refrain that seems to pervade most automotive conversations, driving a sedan does not have to be a dull or boring affair. 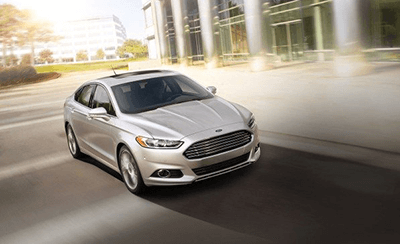 In fact, with Ford Fusion by your side, as well as its voice-controlled climate system, ability to interface directly with your favorite smartphone, and a plethora of other premium features designed for today's "always on" driver, owning a sedan never has to be considered mundane or ordinary ever again. Looking for an SUV that breaks the mold in more ways than one? Then it is time to give the Ford Escape your attention. From the ability to keep you connected with the digital world via the SYNC Connect smart car system to an unbelievable 3,500 pounds (lbs.) of tow capacity, the Escape is poised and ready to redefine the average SUV experience — and your expectations for what an SUV can do for your hectic schedule. Is your interest piqued by this sampling of the hottest Ford vehicles to show up on the streets of Carrollton? Then now is a great time to pick up your phone and give the Pugmire Ford team a call at (770) 832-2457. Once you do this, we can set you up with an appointment to meet one of our trusted Ford experts and get you on the path toward finding the right Ford car, truck, or SUV for you. Pugmire Ford is full of men and women who see Ford as a brand without peer; this is no big secret. However, we are not the only members of the automotive industry who stand firmly behind the notion that driving home in one of these vehicles is the best decision you can make as a car buyer in Carrollton. Is surpassing other brands currently on your radar and offering up this amount of coverage and support an easy endeavor? Of course not. However, Ford has shown time and again that it is willing to do whatever it takes to do right by new customers and ensure you enjoy your time behind the wheel of your new Ford for years to come. Making the most of your time spent on the clock or when tackling a "honey-do" list on your day off often requires the right equipment or tools. From this perspective, it makes plenty of sense to arm yourself with a vehicle that is also up to the task of tackling tough jobs. Thankfully, both the Super Duty members of the F-Series line of trucks and the various editions of the Transit van, including the Transit Connect, fit this billing in a major way. On the Super Duty side of the conversation, these trucks know a thing or two living up to and surpassing substantial expectations. Whether you are drawn in by the best-in-class towing and torque exhibited by the Super Duty trucks found here at Pugmire Ford or the high-strength steel frames utilized by these pickups to reduce wear and tear that occurs via twisting and flexing, one thing is for sure: The F-Series family of trucks, including the various Super Duty models, is not intent to rest on its laurels as the best-selling line of pickups for 40 years running or fail to push the boundaries in terms of innovation. Shifting gears toward the Transit, specifically, the Transit Connect, means putting your focus on a van that is ready to tackle any job (both commercial or private) you can imagine. Of course, when the Transit Connect offers up best-in-class maneuverability that keeps things moving in even the most congested of work areas and a spacious interior designed to keep out road noise and other distractions, embodying the flexibility needed to get the job done right the first time around is something that just comes as second nature for this van. In other words, whether you zero in on a rugged and durable Super Duty or a Transit Connect that makes commercial deliveries and other jobs in the city a breeze, you can drive with confidence knowing your vehicle is ready to take on any task or issue that comes your way. If a pre-owned car, truck, or SUV is more in line with what you are looking for in your next vehicle, then now is the time to connect with the trained and inviting used car experts located here at Pugmire Ford. As the leading name in pre-owned inventory in Carrollton, be it Certified Pre-Owned Fords or offerings from other manufacturers, our outstanding selection is sure to have exactly what you need from your upcoming car buying search. Additionally, each and every used car on our lot undergoes an extensive inspection (and repair, if necessary) process before being listed for sale. This way, you can shop with confidence knowing whichever high-quality pre-owned car piques your interest is safe, reliable, and prepared to handle anything the roads of Carrollton throw at you. At the end of the day, whether you focus on the power and performance of a class-leading new Ford or the quality and reliability of one of our pre-owned offerings, the fact of the matter remains the same: Pugmire Ford is where Carrollton city shoppers who are serious about getting the most bang for their buck come when the time is right to drive home in a new vehicle. After coming to this conclusion, and covering everything else regarding the Pugmire Ford difference, there is really only one question left to pose to you: Are you ready to stop by Pugmire Ford today and get to work on finding your dream Ford?